Pontchartrain Mechanical Co., Inc. was founded in February 1972 and over the years has become of the largest and leading mechanical contractor serving Louisiana and the Gulf Coast. Pontchartrain Mechanical has 155 full-time, professional employees providing heating, ventilation, air conditioning, plumbing , and solar design, engineering, installation, and distribution services. With a sales volume exceeding 20 million dollars. Pontchartrain Mechanical has earned a solid reputation for controlling costs while providing the highest level of quality. Pontchartrain Mechanical has formed PMC Solar in response to improving technology and the increased demand for alternative energy systems and sustainable living. 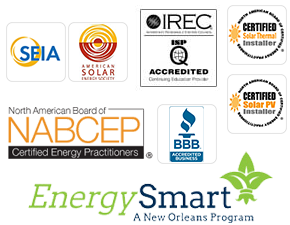 With the introduction of Louisiana’s 80% tax credits, PMC Solar makes Solar Energy a possibility for all households (residential and commercial). PMC Solar has installed the Southeast’s largest solar project. totaling over 1mW+ and 10 million dollars. The project was completed on timeline and under budget. We have incorporated pitched rooftops, flat rooftops, custom engineered carports, BIPV, and custom engineered ground mounts. 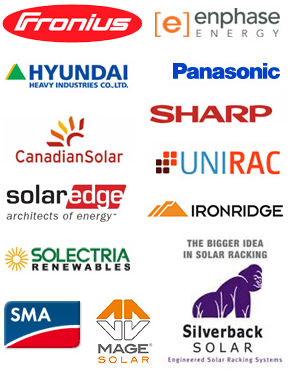 We are the most capable and reputable solar company in the southeast with 40+yrs customer service. Please contact Pontchartrain Mechanical Co. if you are interested in Solar, HVAC, Plumbing, Mechanical, or Contracting services. PMC has been in business for 40+years and maintains its reputation of quality and kind services. Engineers on staff. We are the largest mechanical company in Louisiana. We have installed the largest solar projects and other construction projects in the southeast.We have MANY FINANCING options for SOLAR and home improvement loans. We appreciate your business.God Bless America!